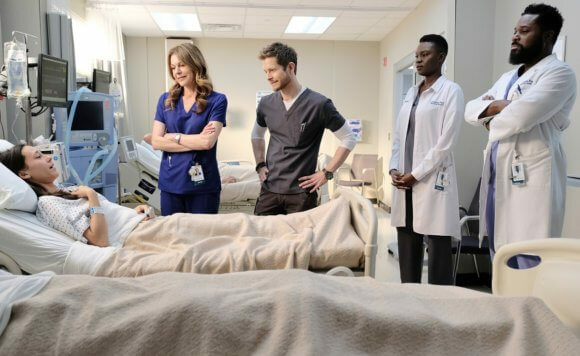 Fox’s The Resident season two continues with episode 13 airing on Monday, February 4, 2019 at 8pm ET/PT. 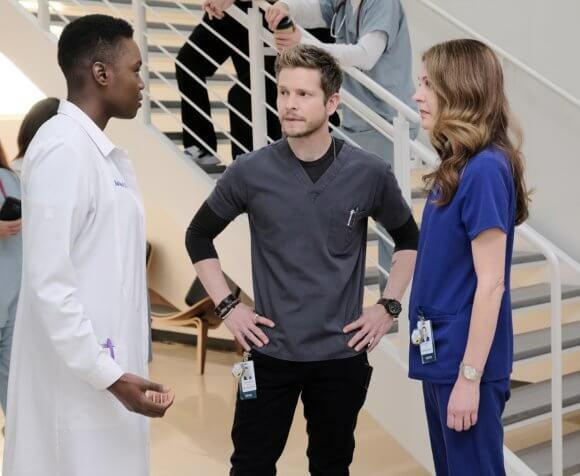 The cast of season two includes Matt Czuchry as Conrad Hawkins, Bruce Greenwood as Dr. Randolph Bell, Emily VanCamp as Nicolette, and Manish Dayal as Devon Pravesh. Shaunette Renée Wilson is Mina Okafor, Malcolm-Jamal Warner is Dr. AJ Austin, Jane Leeves is Dr. Kit Voss, and Glenn Morshower plays Marshall Winthrop. The “Virtually Impossible” Plot: Conrad, Kit, Mina and the Raptor work to save the life of a med student in need of a triple-organ transplant, drawing Bell back to the OR for one of the Chastain’s riskiest surgeries yet. After the police find Julian’s empty car in a nearby lake, Devon does some investigating of his own to find out what might have happened. Meanwhile, Mina and the Raptor hound Bell to halt his business with the risky medical device company, Quovadis, and Nic makes a rash decision regarding her sister. Season two finds star resident Dr. Conrad Hawkins continuing to make difficult calls in the best interests of his patients. But, having rekindled a romantic relationship with nurse Nicolette “Nic” Nevins, the two now must face unresolved issues from their past. Conrad’s father, Marshall Winthrop, has taken over as head of Chastain, and comes into direct conflict with the hospital’s newly minted CEO, Dr. Randolph Bell. Meanwhile, Dr. Mina Okafor continues to work with her larger-than-life mentor, Dr. AJ Austin. 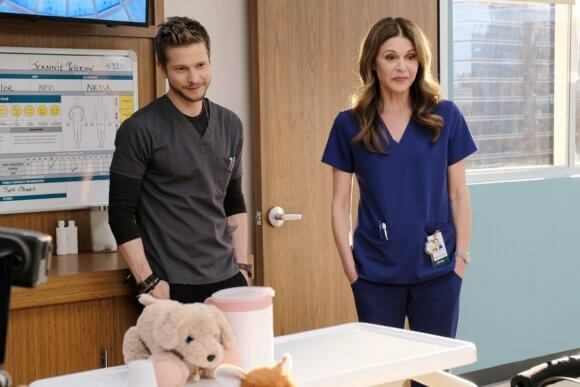 However, the skills of new ortho surgeon Dr. Kitt Voss could lead Mina on a different path. First-year resident Dr. Devon Pravesh becomes intrigued by new medical device rep Julian Booth, whose presence at the hospital will upend business as usual for everyone there.